Procedures to reverse aging in men were previously regarded as taboo however these operations appear to be becoming more popular. This may because of refinements of surgical technique particularly the shorter scars of the MACS facelift technique. There seems to be increasing pressures also faced by men in modern society to appear youthful, and the perception of remaining relevant in the modern workplace. 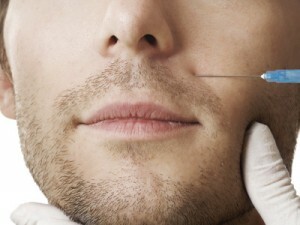 The surgical techniques used in the male patient mainly address the neck and jaw-line, resulting in a natural, masculine and youthful look. Other procedures which are designed to help reverse the effects of aging include blepharoplasty and facial liposuction. There appears to be an increase in the demand from men also for rhinoplasty and prominent ear correction among other cosmetic procedures.